June 28, 2017—–Since President Trump pulled the United States out of the Paris Agreement it has become more urgent for people of this country to become climate activists. There are many ways of supporting action to reduce global warming and the related problems. One of these is becoming a member of an active non-government organization (NGO). This adds your voice to those of many others and contributes to the power of the NGO. Following are two such organizations. I selected these two out of many for the reason that they both are celebrating anniversaries covering many decades. Both have responded strongly to President Trump’s actions to eliminate pollution controls in this country. May 28th of this year marked the 125th anniversary of the group. The Sierra club was founded by John Muir in 1892. The first Sierra Club Bulletin was published in 1893. Initially the organization was focused on protecting the mountains of California from wanton destruction by logging and mining. Soon the group became active in the establishment of our national parks. During the 1960’s the federal government was proposing the building of a series of dams on the Colorado River system. The Sierra Club was a leader in the fight to leave the river system in as natural state as possible. I remember attending a water resources conference in one of the western states and watching the heated debate over the proposed plan. 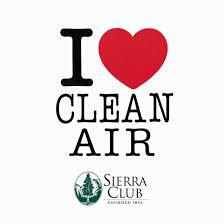 The federal plan was defeated and the government came down hard on the Sierra Club for its part in blocking the plan. In 2015, the Sierra Club was rated one of the top 15 most influential brands in Washington, DC. This was based on characteristics of integrity, influence, and respect by policy makers. The Sierra Club was the only environmental organization to make this list. It is now the largest and perhaps best known environmental organization with nearly three million members. 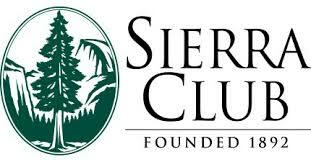 A key part of the Sierra Club’s mission is to protect the quality of the human and natural environment. It is also engaged in educating people on the nature of and problems in the natural environment. It has been actively involved in a number of campaigns related to its mission. Among them are the Beyond Oil and Beyond Natural Gas campaigns. On June 5th of this year, the Sierra Club and other groups filed a law suit against the Trump version of the EPA for weakening protections from oil and gas pollution. 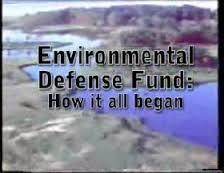 A fund for a clean environment. This year is the 50th anniversary of the fund. In 1967 a small group of men gathered at the Brookhaven National Laboratory on Long Island to incorporate the fund. It was formed to challenge the use of the pesticide, DDT. Evidence was increasing that the widespread use of DDT was killing many species of birds. This included large birds of prey such as eagles, osprey and pelicans. Brown Pelicans had all but disappeared on the coast of North Carolina along with much of America’s coastline. After six years of providing evidence of the hazard of DDT, William Ruckleshaus, then head of the Environmental Protection Agency, banned the use of DDT in the United States. Some other countries have now also eliminated the use of it, but it is still widely used worldwide and is still manufactured in the United States. 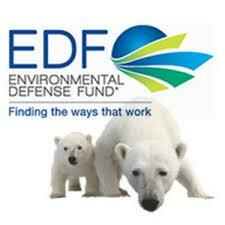 EDF: for a clean environment. When I lived in Khartoum, Sudan, DDT was routinely sprayed in the gutters along the streets to keep down mosquitoes, but on the plus side, I am happy to report that now when I go to Wrightsville Beach in North Carolina I often see large flocks of brown Pelicans soaring overhead or skimming the waves. Today the EDF is working on a variety of projects around the world in climate, ocean fisheries, ecosystems, and human health. Categories: Building Green, Renewable Resources, Sustainable Education | Tags: #climatechange, #environmentaldefensefund, #renewableenergy, #sierraclub | Permalink.